in Jewish religious communities. 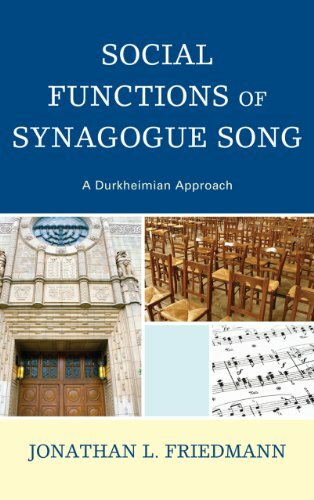 This study explores one possible way to approach the subject of music's intimate connection with public worship: applying sociologist Ã‰mile Durkheim's understanding of ceremonial ritual to synagogue music. Durkheim observed that religious ceremonies serve disciplinary, cohesive, revitalizing, and euphoric functions within religious communities. Drawing upon musical examples from different composers, regions, periods, rites, and services, Friedmann demonstrates how Jewish sacred music performs these functions.